We had an Enchanted Journey to Storyland @ the Curve last Friday. It was a unique and specially-created wonderland of books filled to the brim with festive cheer awaits you at the Curve this year. From November 27, 2015 to January 3, 2016, the Curve’s Centre Court literally takes books to new heights with a stunning Storyland setup, as grand Christmas-themed storybooks, each containing a magical tale within their pages, deck the stage. 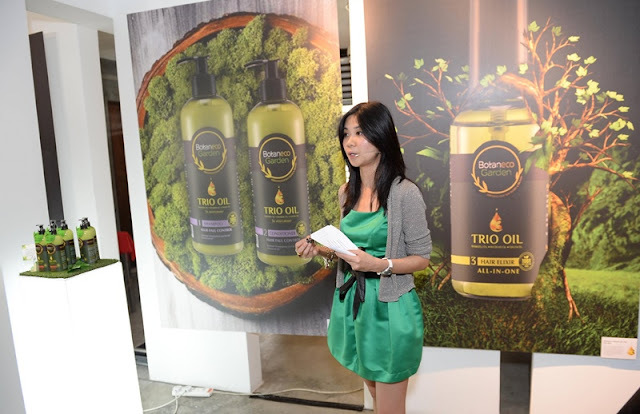 Recently, Guardian Malaysia introduced the new Botaneco Garden Trio Oil Hair & Body Collection at Core Gallery with an exhibition and gallery tour of the exotic ingredients and production process that showcased the range as a work of art, here, today. It harnesses the power of exotic Babassu, Baobab and Chufa for a uniquely moisturizing formulation. This new range is for eco-conscious consumers who prefer effective beauty solutions with ingredients harvested from nature. If you are a TVB fans you will know Ms. Tavia Yeung. Recently the TVB artiste Ms. Tavia Yeung was here in Malaysia to grace the launching of Kinohimitsu Total Eyebright & Kinohimitsu Beauty Bar at Parkson Pavilion. The Hong Kong star will share her knowledge on Kinohimitsu latest amazing new product – Kinohimitsu Total Eyebright. 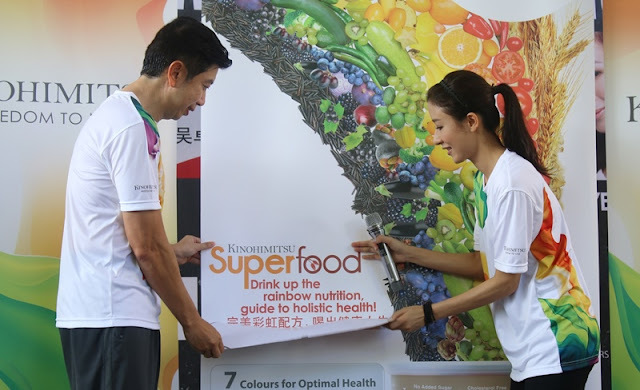 Ms Tavia Yeung after consuming Eyebright Lutein for just 4 weeks shares that her eyes are not as dry and tired as before. What is so special about 11.11? Today, November 11th is also fondly known as ‘Pepero Day’ in Korea where one shows their affection to loved ones. Plus 11.11 is known as World Single Day. We are delighted to be able to attend 11street Love 11 Day Celebration with Korean Entertainer and Co-host of Running Man, HaHa in Malaysia at Lot 10, Kuala Lumpur. Yes! we were up early on Sunday morning for ISETAN Kuala Lumpur Birthday Run at Taman Botani Perdana, Kuala Lumpur. Well, we started to embark on healthier lifestyle and go for exercise more regularly. It not only for health but there are a lot of happiness also. How about you? What did you and your family usually do on Sunday morning? 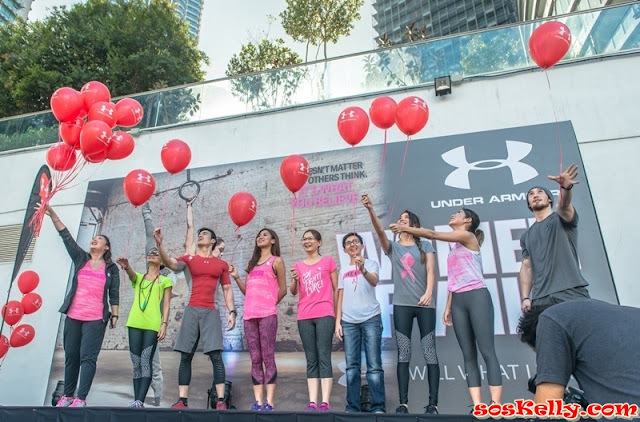 We were here to for the Under Armour Women of Today, Women of Tomorrow, Women of Will movement on the last of Pink October month on the rooftop of Avenue K in conjunction with the Breast Cancer Awareness month. We never forget and will always do our breast check-up every year because early detection is the best prevention. Alright yearend holiday is coming, many of you are looking forward to the parties and also your vacations. Trying to fit into your bikini, dresses and perhaps might level up your energy for all the late nights parties. First and foremost I think we might need to consider our health, a healthier you will leads to better shape, fit, vitality and also energy. 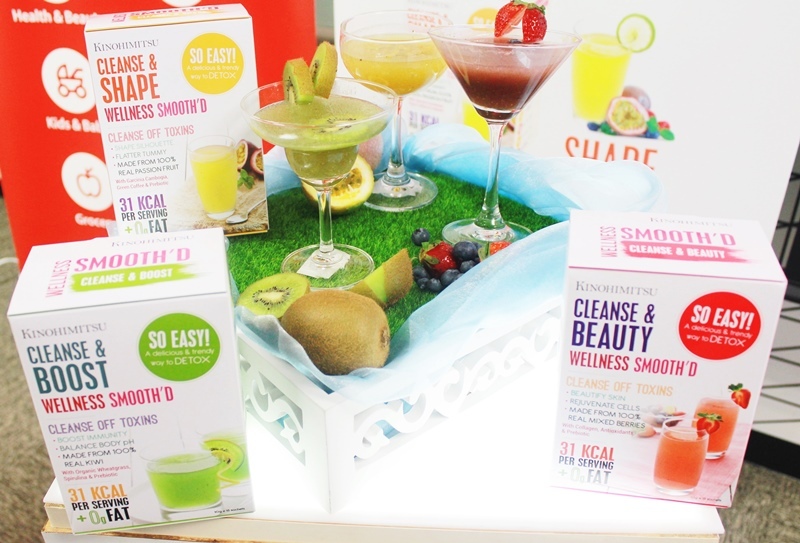 Start to cleanse Your Body from Toxins with Kinohimitsu Wellness Smooth’D. In conjunction with Merdeka and Hari Malaysia, Mamee launched their Jimat++ Campaign to help smart and cost-conscious mothers stretch their Ringgit while bringing joy to family with Malaysia’s favourite products. The campaign runs from 1st August to 31st October focused on mothers with a “Mother Knows Best” theme as mothers are always on the lookout for value for money household goods that the entire family can enjoy. Let’s explore and celebrate Bon Odori @ 1 Utama by Cold Storage. It is a Japanese cultural dance and festival food fare from Japan. 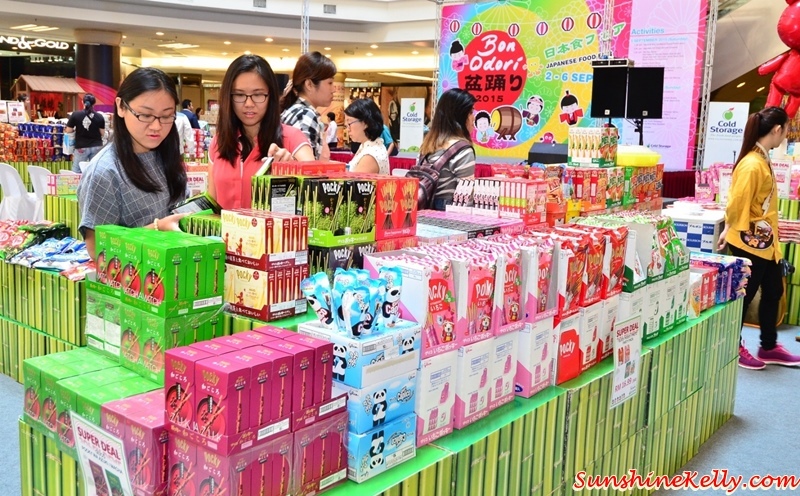 You can enjoy different aspects of Japanese culture, along with over 1,000 items of food products, confectionery and a variety of delicacies for 5 days from 2nd – 6th Sept at New Wing Oval concourse of One Utama Shopping Centre. 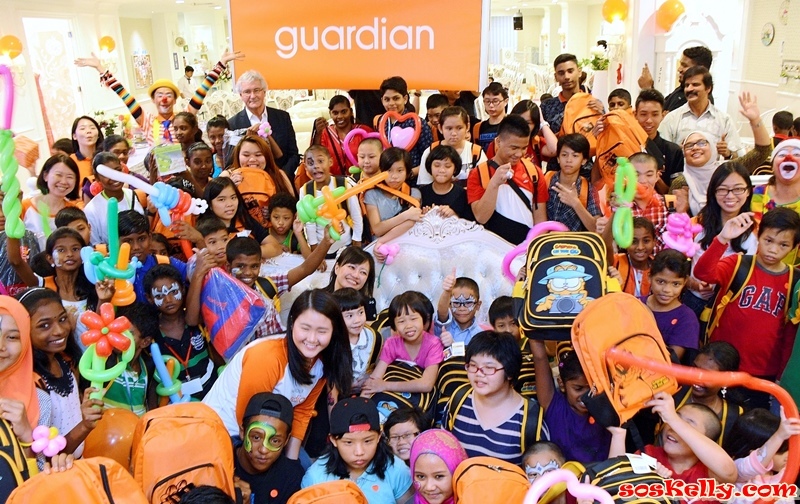 I am sure some of us are busy attending Raya Open houses, just two days ago I was at Guardian Malaysia Raya Open House celebration for 100 children from three orphanages across the Klang Valley. 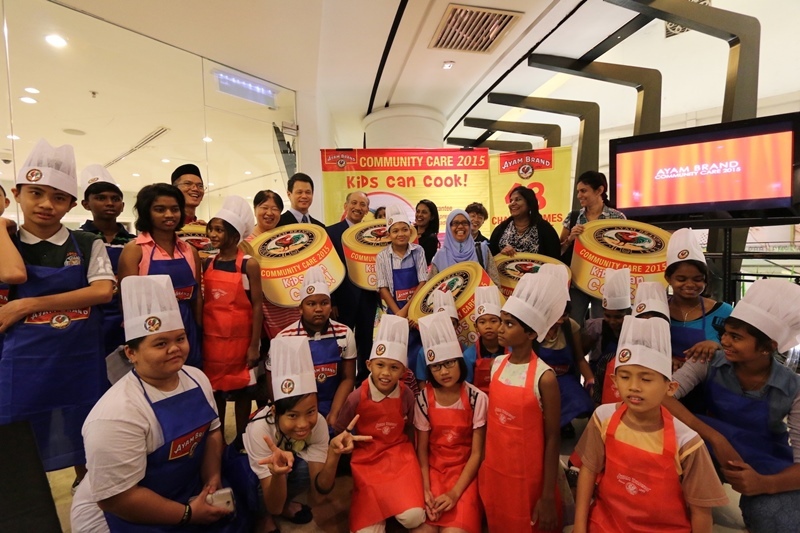 It was a delightful evening of fun, festivity and food saw the children light up in smiles at The Place, One City, USJ. 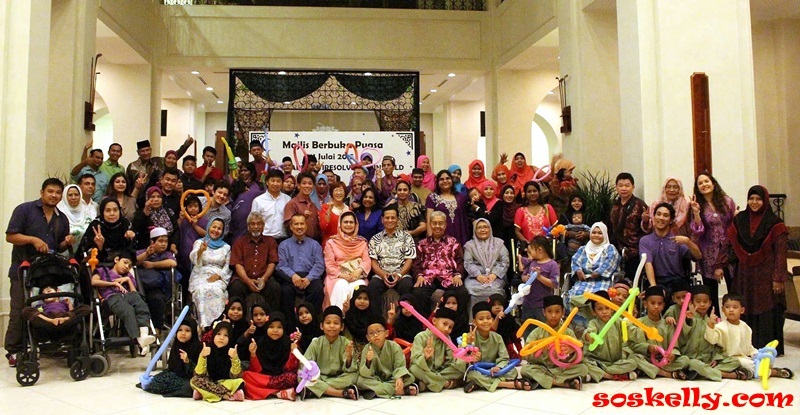 The children and guests were entertained by celebrities that included singer and actor Sean Ghazi, host Nazrudin Rahman, actor and singer Aiman Hakim Ridza, former radio announcers JD and Dilly, as well as former 3R TV hosts – scriptwriter Rafidah Abdullah and Director of iM4U FM Kartini Kamalul Ariffin. 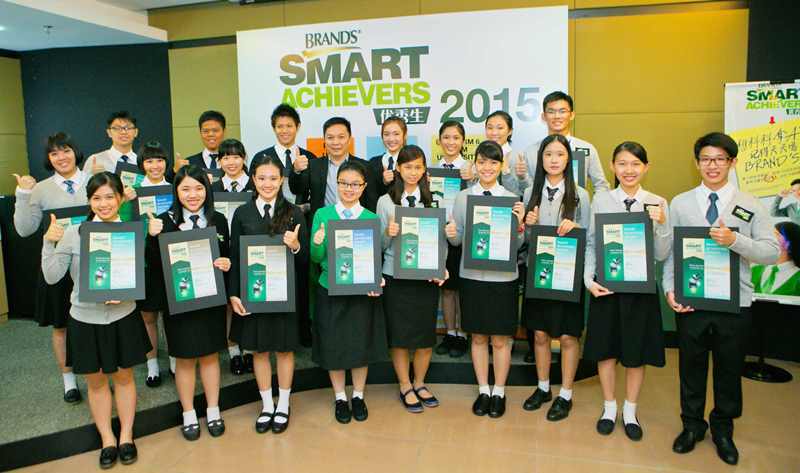 I attended the prize giving ceremony of BRAND’S® SMART Achievers Award for 2015 at Cerebos Malaysia headquarters in Shah Alam this week. The brilliant and outstanding 21 students ranging from secondary to tertiary level education based on their excellence in their academic and extra-curricular performance for their 2014 examinations were selected from over a hundred entries to emerge as the best of the best to receive this recognition and award. Some of the students and their parents travelled from as far as Kedah, Penang, Pahang, Perak, Melaka, Johor and Sabah to attend the special awards ceremony held in their honour. The annual event is a benchmark of success for outstanding young Malaysians who have proven that one can excel in both studies as well as extra-curricular activities at the same time. This year’s winners will be sharing their tips on how to achieve great results on BRAND’S® Smart Living Facebook Page, to help inspire and motivate other youths to do their best. Since the programme was initiated in 2006, BRAND’S® has recognized the achievements of a total of 203 elite students and the 2015 awards saw a total of RM23,000 in cash prizes being awarded today which brings the total amount of awards given out to students to RM195,000. The BRAND’S® SMART Achievers Award has 4 categories with respective cash prize awards – PT3 (RM500), SPM (RM1,000), STPM (RM1,500) and university / college exams (RM1,500). 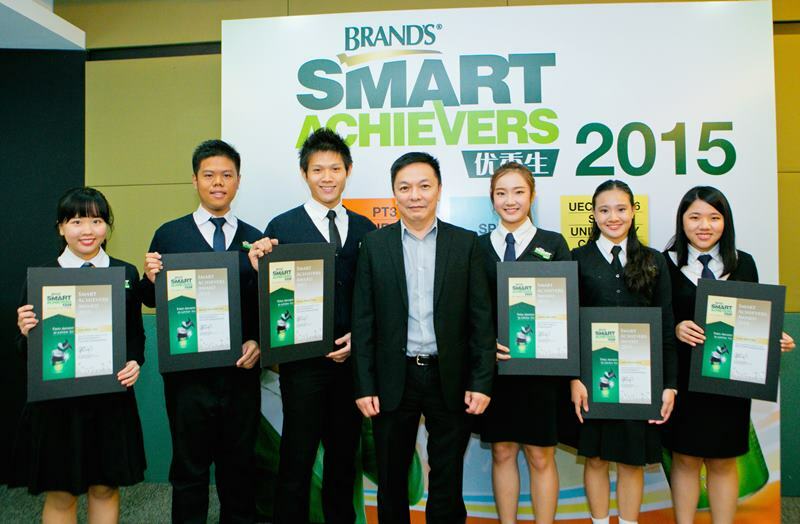 Students sitting for their major examinations this year can register for the 2016 BRAND’S® SMART Achievers Award while they enjoy the benefits of the nutritious BRAND’S® Essence of Chicken. Research findings from 38 clinical studies conducted worldwide have shown that regular consumption of BRAND’S® Essence of Chicken will bring a marked improvement in one’s memory and ability to focus even under strenuous circumstances, even as it helps sustain energy levels and maintain overall good health. Certified halal, BRAND’S® Essence of Chicken is free of fat and cholesterol, and does not contain added artificial flavouring and colouring, thus making it the ideal natural food supplement of choice. For optimal benefit and value, students can purchase the special BRAND’S® SMART Achievers value pack of 9 bottles x 70g BRAND’S® Essence of Chicken retailing at RM42 in leading pharmacies, supermarkets and hypermarkets nationwide which also comes with the entry form and registration details. OPPO Malaysia recently launched two R7 Series namely OPPO R7 Plus and OPPO R7 Lite elegantly designed in full metal unibody which are set to hit Malaysian shores sometime in August 2015. The OPPO R7 Plus comes in a full metal unibody that fits perfectly in one’s hand, sits perfectly at the dimension of 158.18mm X 82.3mm X 7.75 mm. The phone is equipped with the VOOC Flash charging system, the best charging solution available today, which reduces charging time up to 50 per cent for the 4,100mHA large capacity battery. With only 5 minutes of charging time, the R7 Plus is powered up to 2 hours of talk time. These attributes make the R7 Plus perfect for people on-the-go, as even the shortest charging time can result in extensive phone use. Built-in with a 13-megapixel rear camera and an 8-megapixel front camera, the phone also incorporates the New Flash Shot technology used exclusively for the OPPO R7 series, featuring the new dual-drive hybrid focus system. This includes the laser focus, anti-shake optimisation, Contrast Detection Autofocus (AF) and the new Phase Detection Auto Focus (PDAF) which ensures rapid launch, fast focus and stable images. Consists of a 6-inch 16M AMOLED colour display with a full HD 1920 X 1080 pixel resolution, the OPPO R7 Plus is powered by a 64-bit Octa-Core Qualcomm’s Snapdragon 615 processor clocking at 1.5GHz and is mated to a 3GB RAM. The OPPO R7 Lite is a smaller version that operates similarly to the OPPO R7 Plus. In addition to the full metal unibody, 2.5D curved screen, and processors, the lite version is made up with a 5-inch 16M AMOLED colour display that sits comfortably at a dimension of 143mm X 71mm X 6.3mm. Price: The OPPO R7 Plus and OPPO R7 Lite retail at RM1,998 and RM1,298 respectively. Both models will be available for pre-orders in stores and on the website beginning Sunday, 11 July 2015. It was a lovely evening mingling and also get to know ome of the special needs children and young adults. The meaningful collaboration between Asia and Pacific Forum for Families (APFAM), I-Resolve Foundation together with the sponsorships of Brunsfield Foundation, Powerfence Malaysia brought joy to 87 young persons with special needs. 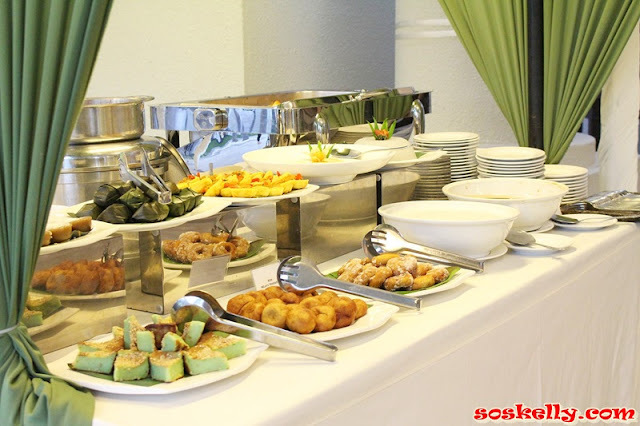 The Majlis Buka Puasa Feast was held at Kuala Lumpur Golf and Country Club (KLGCC). The 87 persons with special needs comprises of 60 physically and intellectually challenged children from Pusat Pemulihan Dalam Komuniti (PDK or Community Dat Care Centre for intellectually and physically challenged children) in Kajang and Semenyih, along with their parents and caregivers. And also 20 orphans and support staff from Rumah Amal Siraman Kasih orphanage, Rawang. 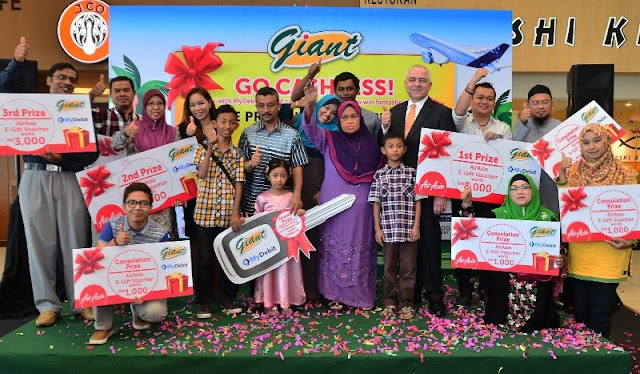 They will receive special donated door gifts so that the joy of this special evening will follow them home, the warm-heartedness of Aidilfitri will lingers on their lives even after the event. The foundation also plan to introduce Muslim tradition Marhaban where groups of the Handicapped and Needy (such as single mother and their children, the intellectual and physically challenged adults and children) will be invited to Post-Ramadan dinner and gift giving at KLGCC during the Eid festivities month.